Annapolis Vacation Rental – 316 Burnside Street #301 | Eastport Annapolis Rentals. 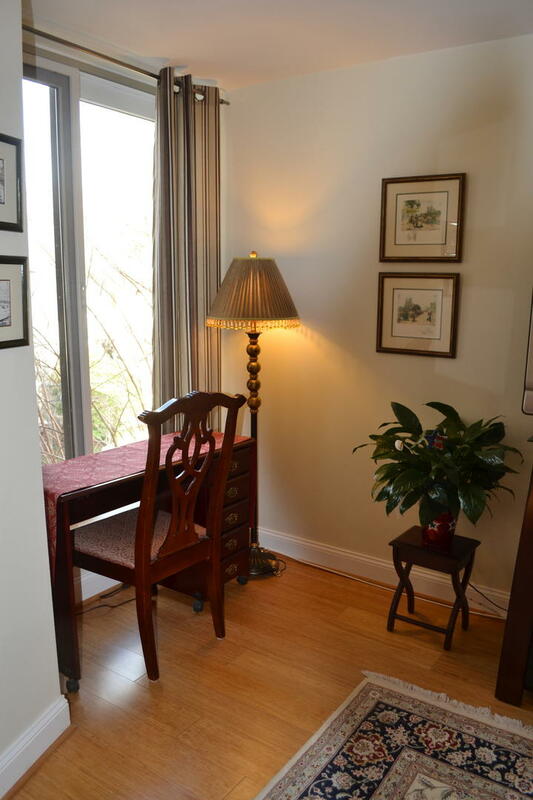 This recently remodeled 1 bedroom and 1 bathroom condo with water views of Spa Creek. Enjoy the granite counter tops, stainless steal appliances, 4 person pub table and community pool (only open on Weekends) and rooftop deck. This condo unit also has a home office tucked behind the living room and is perfect for a work at home person. One off street parking space and easy walk to pubs, restaurants and everything downtown Annapolis. This home as all the amenities that you would need to make your stay in Annapolis more than enjoyable. There is a 60 day minimum on this unit.